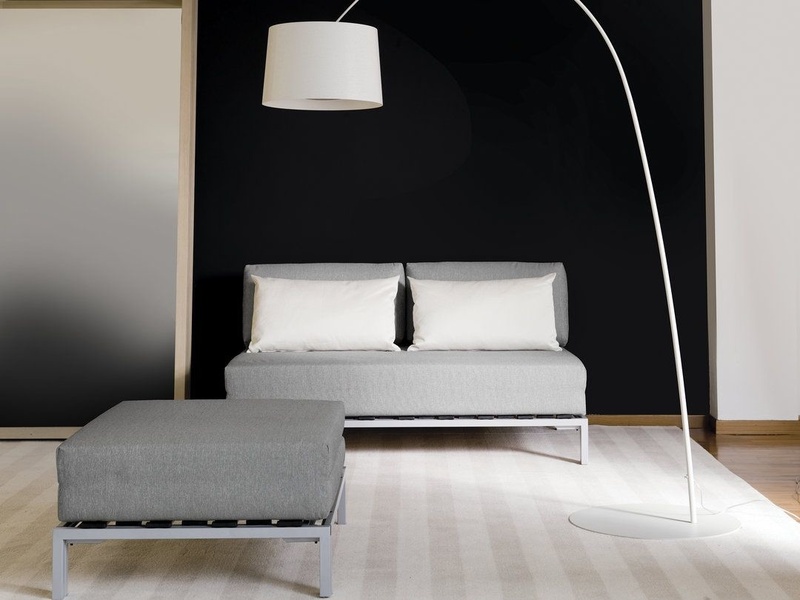 This sofa bed is distinctive yet elegant enhanced by its silver metal frame. 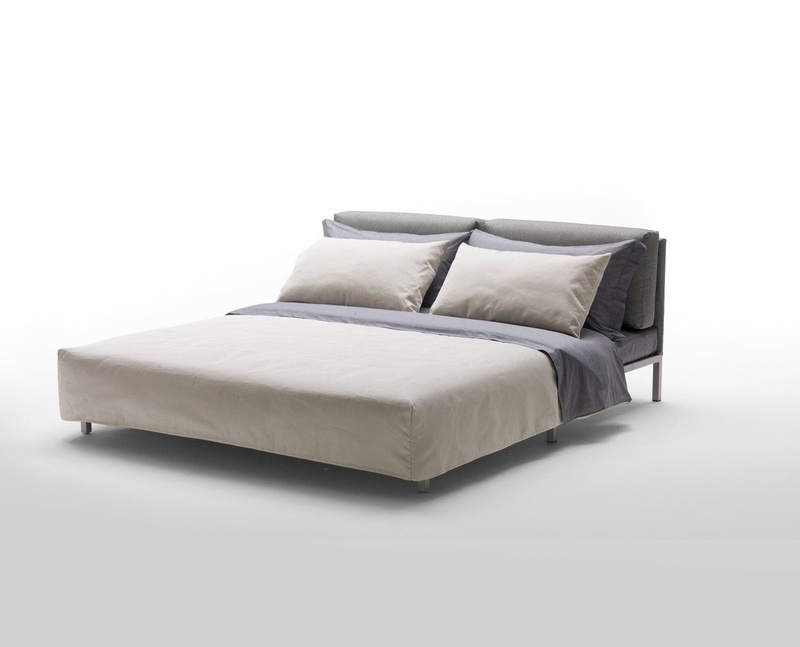 It features a front-opening mechanism, while the foldaway mattress avoids sitting on the bedding. Foam mattress has a removable lining, covered by a fabric of your choice. Available to order with a removable cover for the bedhead, as well as a duvet for the seat and pillows.